When we first moved to Seattle, Evan and I would often meet for lunch at Pho Bac. I’d take a break from unpacking boxes (and an insane amount of packing paper) and we’d meet about halfway between our apartment and his office. I’d never had pho before, so it was fun to explore new food and venture out in a brand new city to meet Evan for lunch. I will always have fond memories of those dates! It wasn’t until our most recent visit a few weeks ago, however, that I discovered Vietnamese coffee on their menu. I actually didn’t know what it was, but was excited to try something new. The waitress brought over a small mug with sweetened condensed milk at the bottom, and a pour over coffee maker on top. 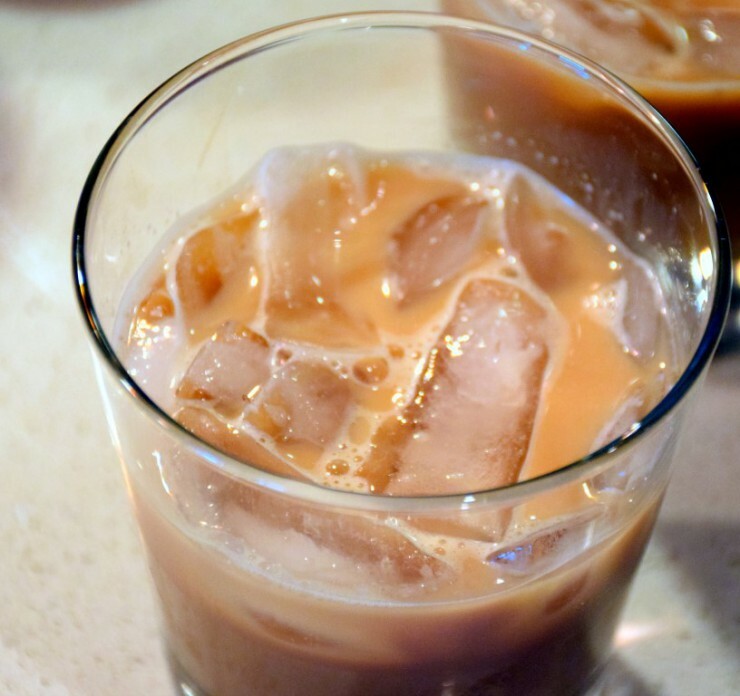 She also brought a glass filled with ice, and gave a brief explanation of what to do: let the coffee finish brewing, stir to combine the coffee and condensed milk, and pour over the ice. If you’re not familiar with pour over coffee, this article does a great job of explaining the method and how to make your own at home. Once the coffee finished brewing into my mug, I followed her instructions and gave it a stir, then poured it over the ice and gave it a taste. It was amazing! The coffee was strong and flavorful, and the condensed milk provided creaminess and just the right amount of sweetness. I wanted to order another, but instead, I decided I would start making these coffees at home. 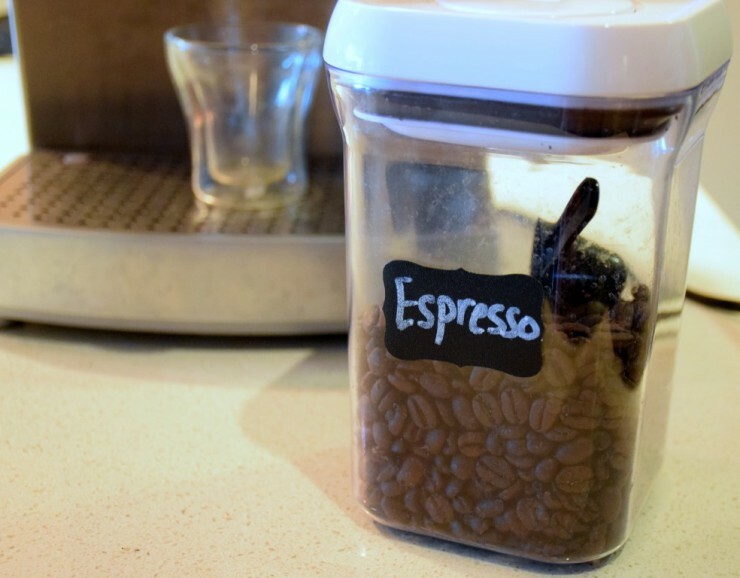 I don’t own a pour over coffee maker, so I opted to make my at-home version with espresso. If you don’t have either at home, you can definitely substitute regular coffee! I’d recommend using a dark roast. 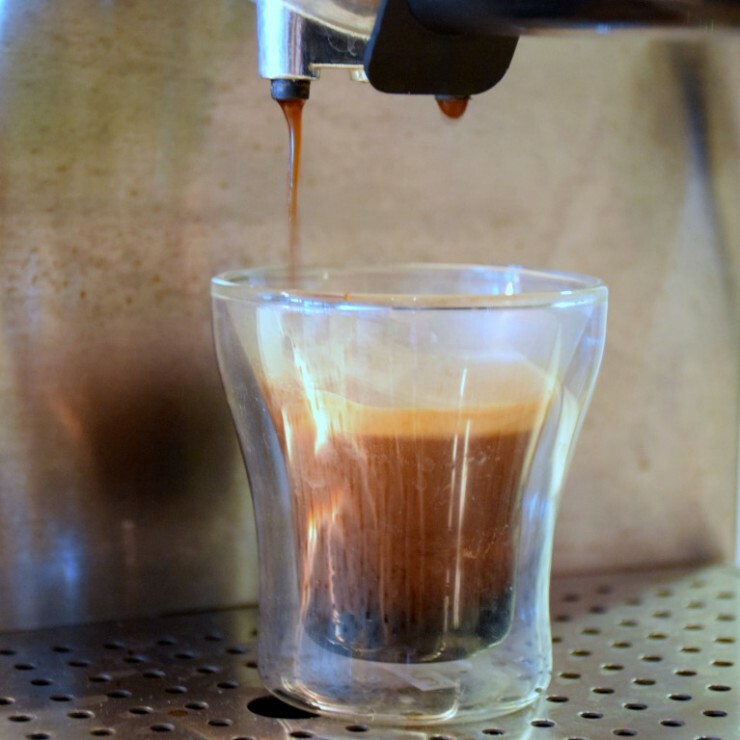 To begin, grind the espresso beans or coffee beans. 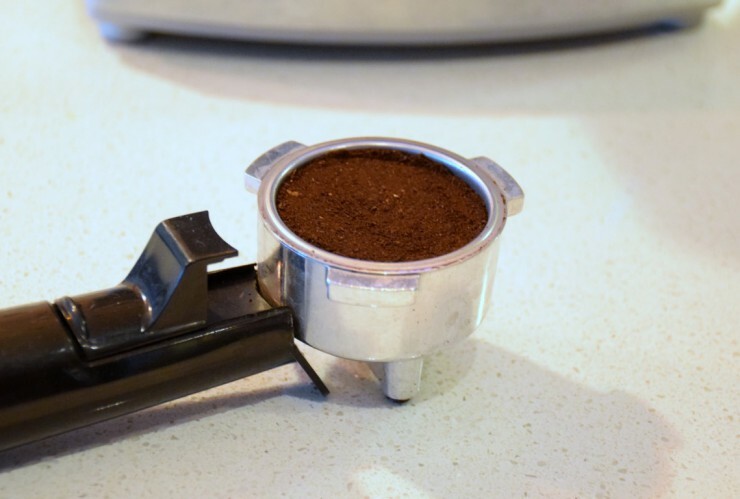 I used a conical burr grinder set to fine to grind my espresso. 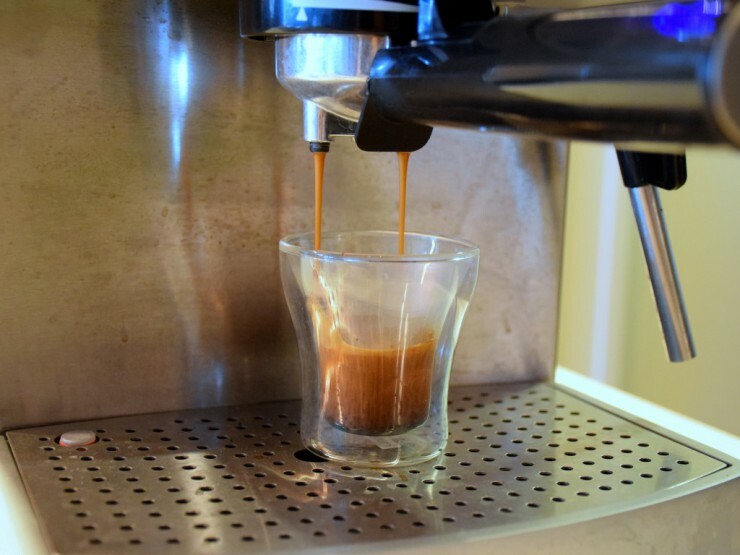 Then use an espresso machine to brew 2 ounces of espresso (or use the pour over coffee maker to brew the coffee). Notice the perfect layer of crema? 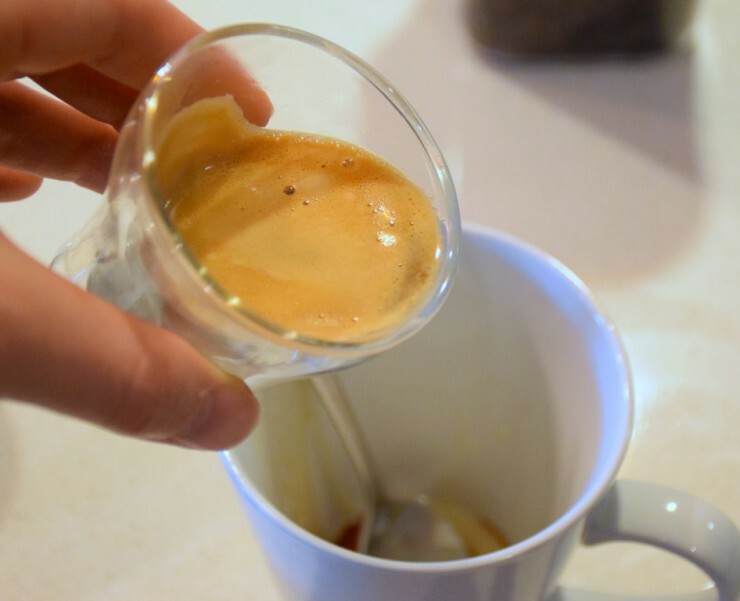 Pour the espresso into a mug with 2 tablespoons of sweetened condensed milk. 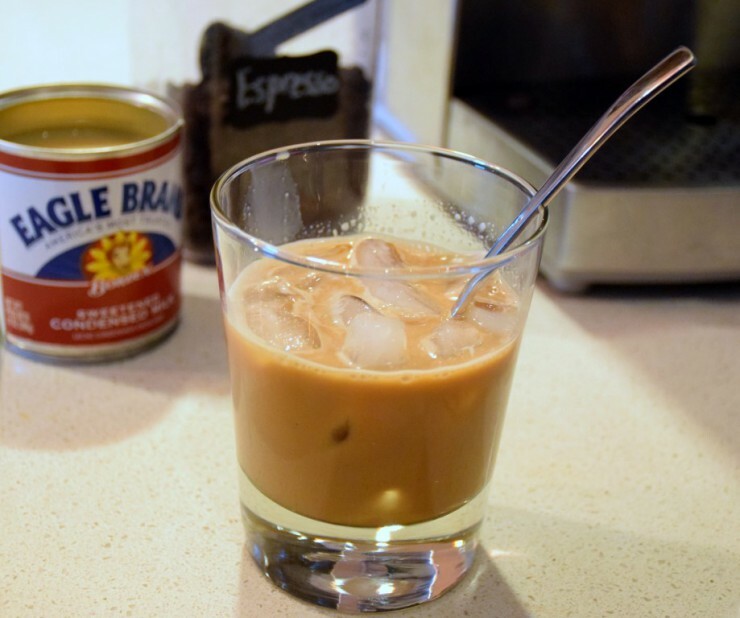 Then pour the espresso and condensed milk into an 8 ounce glass filled with ice. 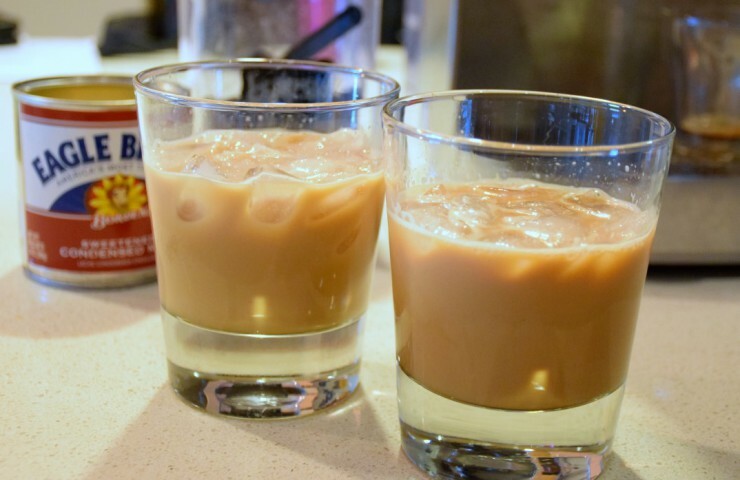 Give it another quick stir before enjoying the perfect Vietnamese coffee! 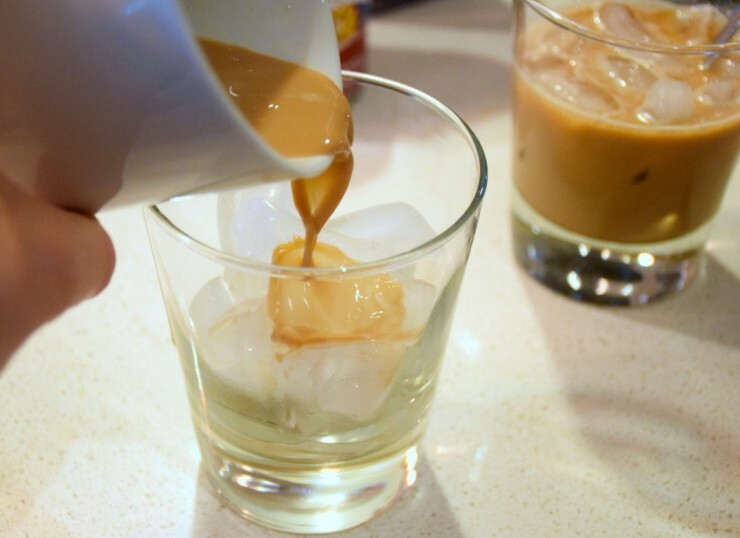 Measure 2 tablespoons of sweetened condensed milk into a coffee mug. Fill an 8 ounce drinking glass with ice. Brew 2 ounces of espresso, or any dark roast coffee. 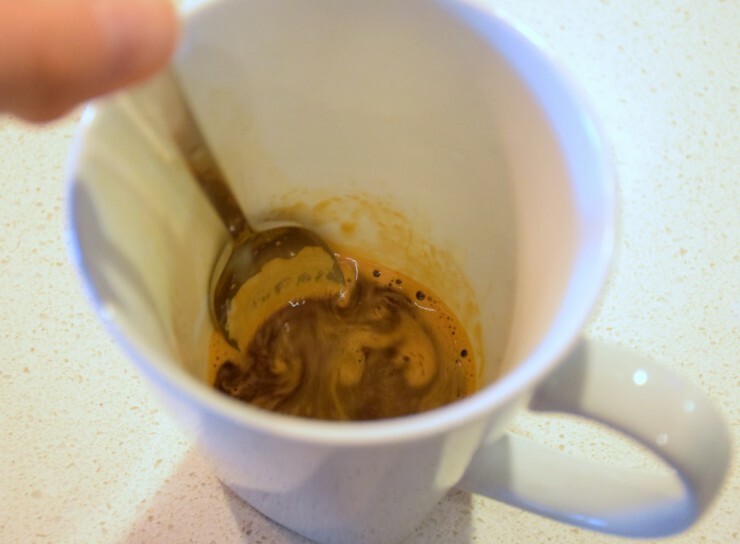 Pour the espresso into the mug and stir to combine with condensed milk. Once combined, pour into the glass filled with ice and give it a quick stir.